How can you help those displaced by Typhoon Haiyan in the Philippines? Join the Lawndale Rotary as we raise money to fund two Shelter boxes for families in the Philippines. Each Shelter Box provides a high quality tent that can house an extended family; a stove, thermal blankets, tools and other supplies to assist those displaced by the typhoon. 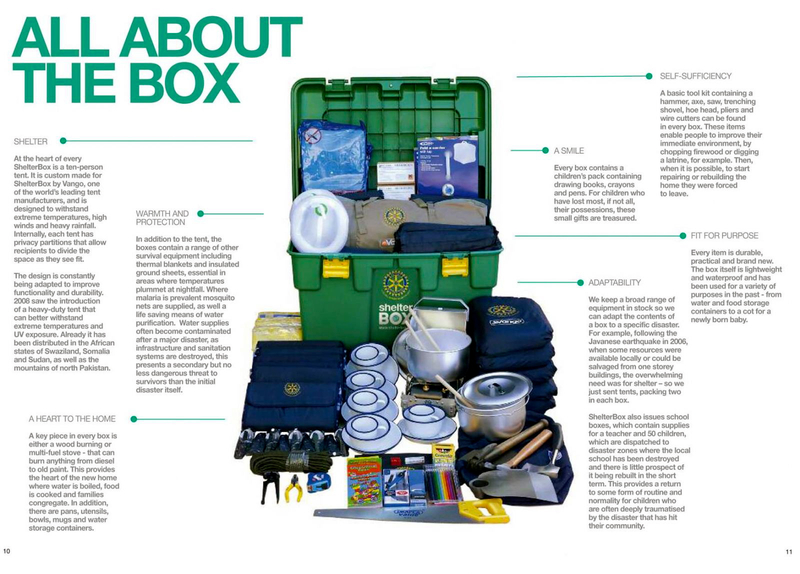 Rotary International has a long history of Partnership with ShelterBoxusa.org and the Lawndale Rotary is glad to be able to partner with them again to assist victims of Typhoon Haiyan. To join us in our fund raising please click here .